Headwaters invents, designs, develops, manufactures and markets a broad range of innovative products in over 32 countries around the world. Headwaters Inc., was formed in 1993 by Troy Anderson and Rudy Vandenbelt who met while working together at Black & Decker. 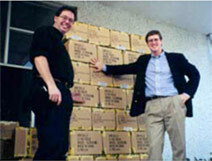 From day one, the founders have believed in delivering innovative, superior product solutions to solve customer needs. This mission has resulted in a worldwide business catering to both private label and branded customer markets. Headwaters’ FilterStream® division sells the world’s most efficient, effective personal air purifier under the AirTamer® brand and the world’s most powerful line of cordless wet/dry hand vacuums under the DirtTamer® brand. Headwaters’ Sound Oasis® division is the world leader in sound sleep therapy systems with several industry first achievements in consumer, commercial and medical markets. FilterStream®, Sound Oasis® products are available through leading US and international retailers including Amazon.com, Brookstone, Sharper Image, Target.com, Vitamin Shoppe, Walmart and a multitude of high-end specialty retailers, catalogs and e-commerce sites. Headwaters started as a private label supplier of innovative consumer durables. Headwaters provides an assortment of exclusive and semi exclusive products to such leading retailers as Brookstone, Frontgate, Hammacher Schlemmer, OSIM, and Sharper Image. 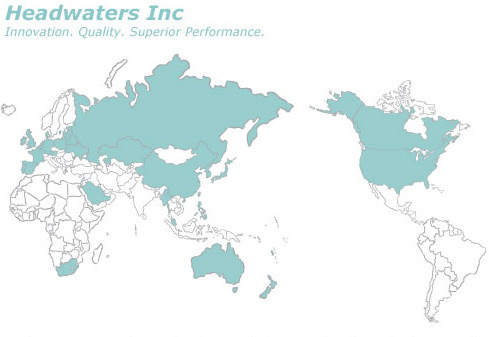 Headwaters products are designed and developed in Canada and the USA to global standards. Manufacturing is done by a select group of high quality contract manufacturers in the United States, China, Taiwan. R & D and quality assurance is managed by our R & D group located in Ottawa, Canada and at each factory. Warehousing for the North American market is located in Riverside, California. Operations, marketing and sales are managed by our corporate office located in Marblehead, Massachusetts.